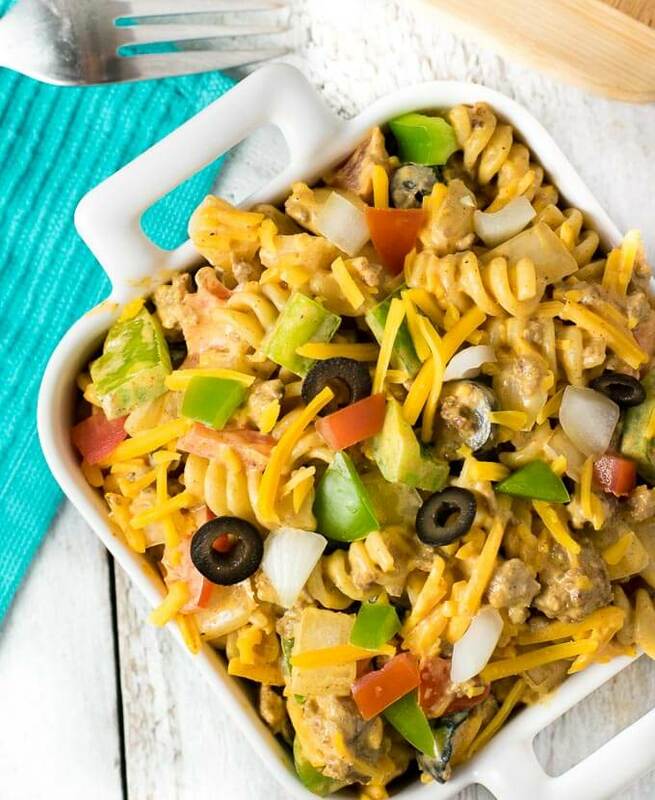 Read on to get this flavor-infused Smoky and Creamy Taco Pasta Salad recipe, plus even more extras! I have a home coupon available to you, plus a chance to win a once in a lifetime music experience! Great food, money savings, and music – what’s not to love? 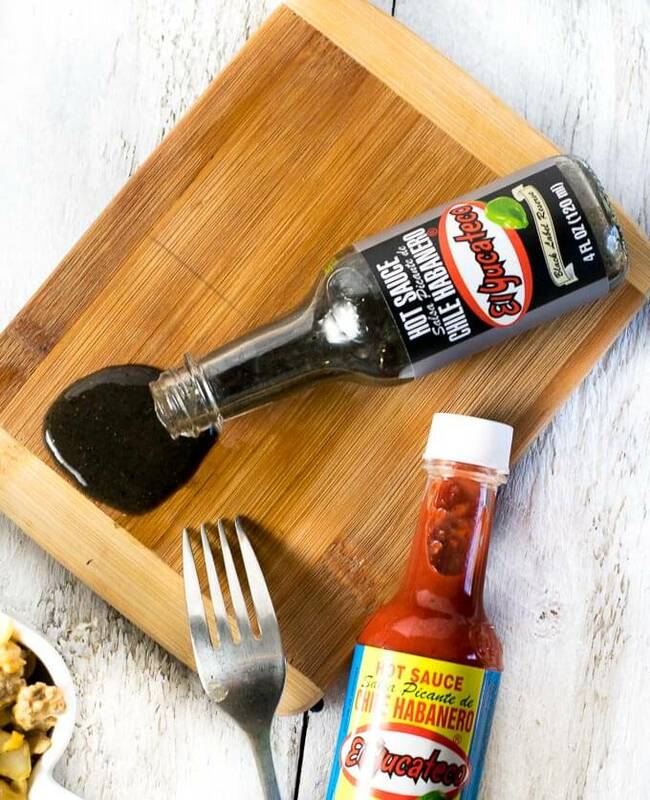 Since I love putting hot sauce on pretty much everything, I frequently give my wife a bottle of El Yucateco® to slip in her purse when we head out to events, such as Summerfest this July. I can amp up the flavor of my favorite foods while enjoying my favorite bands! Plus, bringing along a dish like this Creamy Taco Salad is perfect for enjoying as part of a pre-concert tailgate! Speaking of music, you will now be able to find El Yucateco® at select stadiums and The House of Blues. Plus since they are also music lovers, they want to give you the chance to win a once-in-a-lifetime musical experience. Check out the details below! 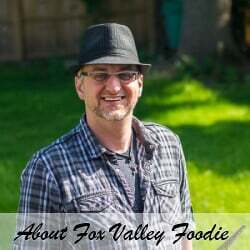 Anyone who reads FoxValleyFoodie.com for any length of time quickly sees that I’m not afraid to spice up a dish. However, hot sauce isn’t added just for heat, it is an invaluable flavor component as well. El Yucateco® as long been one of my favorite hot sauces, and I have written about them frequently (Spicy Honey Glazed Turkey, & Jamaican Black Bean Soup are two of my favorite examples). I use El Yucateco® frequently in recipes because their sauce isn’t simply “hot”, rather it is exceptionally crafted to be rich and flavorful. It can really add a lot of depth to your dishes. El Yucateco® Black Label Reserve is my favorite variety in their lineup. 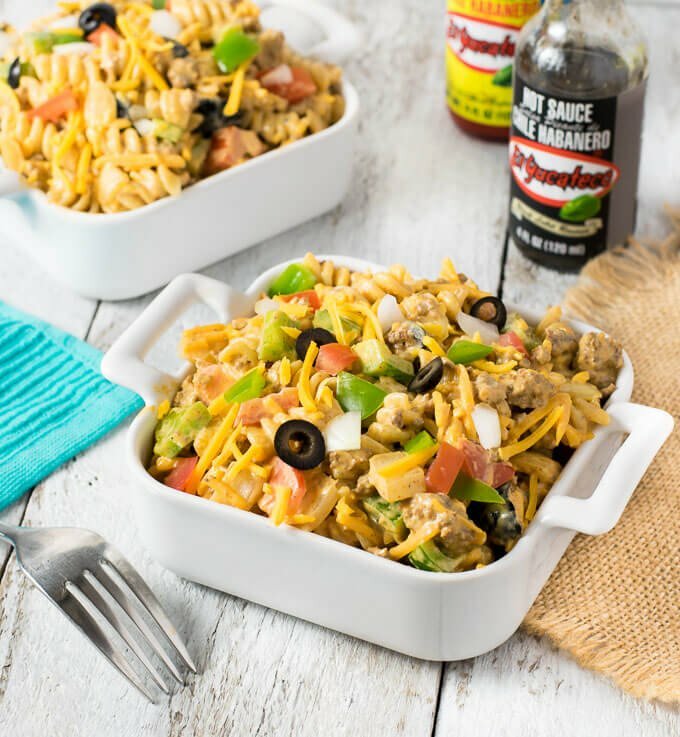 It boasts a rich smoky flavor that is the key ingredient to this Smoky and Creamy Taco Pasta Salad. Its unique flavor adds an earthy smoke flavor without the sweetness found in a chipotle sauce. It brings the perfect amount of heat without adding an overpowering smoke taste. 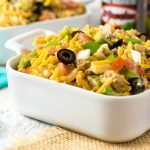 It is perfect for adding flavor to your favorite meals at home like this taco pasta salad recipe, or if you are like me, pack it on the go to amp up the flavor at your next music festival! Right now, to celebrate the beginning of summer music season, El Yucateco® has a great coupon offer for you! Print this $1.00 off coupon to try their hot sauce for yourself! 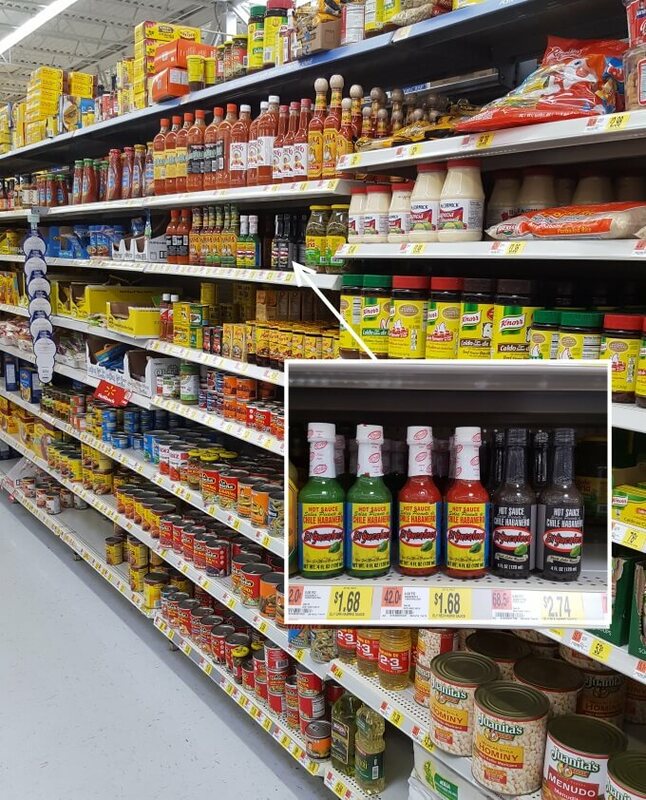 I found El Yucateco® Black Label Reserve and Red Habanero Hot Sauce at Walmart in the Hispanic Food section. Be sure to pick some up next time you are there! Now, without further ado, let’s rock this recipe! A bold smoky sauce coats the tender noodles, seasoned beef, and chunky vegetables in this Creamy Taco Pasta Salad. Combine mayo, sour cream, and hot sauce in a dish and set aside. Brown the hamburger and add taco seasoning packet according to packet instructions, then set aside to cool slightly. Cook the noodles according to box instructions, then rinse with cold water till cool. Add all ingredients to a large bowl, including the sauce, and mix to combine. Can be served immediately, but best if set in the fridge overnight to allow flavors to meld. IF YOU LIKED THIS RECIPE you will love my Dill Pickle Pasta Salad recipe! It is one of my all time favorites! 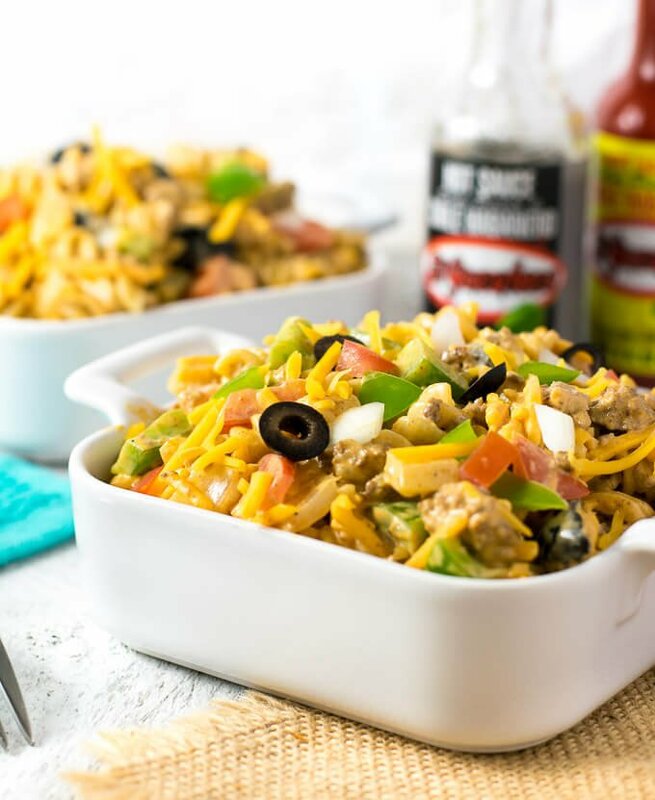 If you enjoyed reading my Smoky and Creamy Taco Pasta Salad recipe then you should probably like me on Facebook and follow me on Pinterest too. That’s what I would do at least, because if you don’t get to know me but you still use my recipe it is kind of like taking candy from a stranger, and your mom taught you not to do that. Don’t disobey your mom, subscribe to Fox Valley Foodie today.